Welcome to Old Florida style! 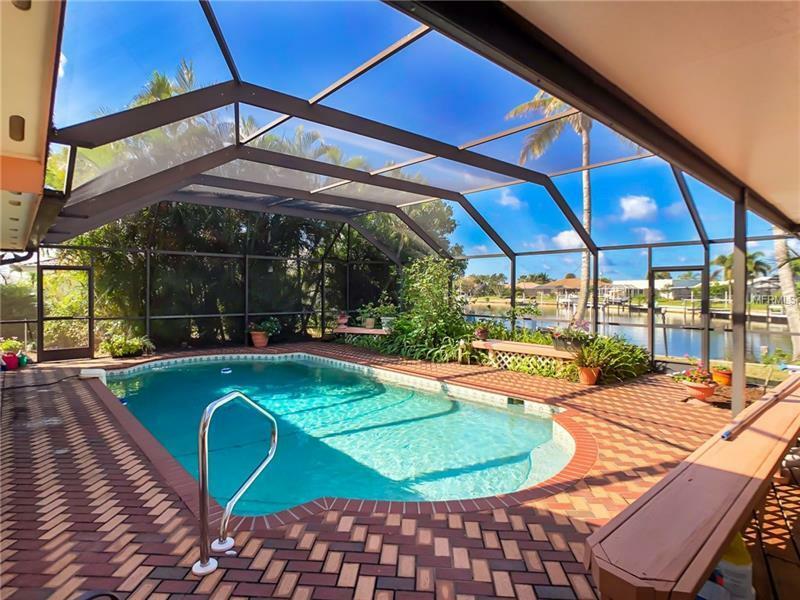 Relax in this charming pool home overlooking a wide saltwater canal, only one 13' bridge and minutes to Charlotte Harbor and out to the Gulf of Mexico. Situated on an oversized corner lot in the heart of PGI, this 2 bed, 2 bath home has a 23x23 two-car garage, galley style kitchen, and large great room that flows to an expansive cedar lined Florida Room, with its wall of French doors opening to the screened lanai and lush tropical pool area. Adjacent to the pool is a covered raised wood deck, perfect for al Fresco dining or just chillin' with a cool beverage after a day in the sun or on the water. Add your boat lift, and you're set! Additional Water Information: Quick access to Charlotte Harbor, with only one 13' bridge at Bass Inlet near Fishermen's Village.